Behavioral Interventions--For Kids! : Happy birthday! 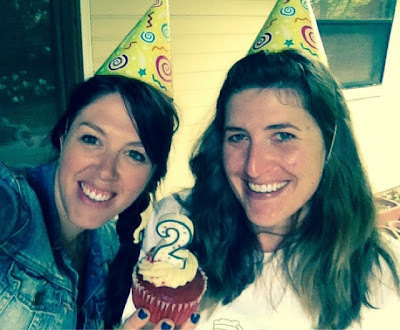 Happy 2nd birthday to our little blog! You are growing up so fast. Tear, sniff. Happy birthday!! I LOVE you little blog. I've been a therapist for almost 11 yes but when my caseload became 80% kids I knew I needed some help! Yourideas are awesome and beyond helpful. They've sparked my own creativity, which I didn't even know I had. Thanks ladies!! Aw!! Thank you so much! Thank you too for what you do, 11 years is incredible! Anything for a cupcake right? lol but seriously I am very grateful to this blog. Starting out in this career it feels like you really don't get prepped enough and I went through a bit of floundering where I just didn't feel like I knew what I was doing. Now I am almost at 2 yrs of doing PSR/CBRS and I feel like I come up with my own ideas easier but I also frequently look to see what's new on this blog.